Paul Stephens submitted this photo and caption. I took this photo in Denton, Texas on July 19. 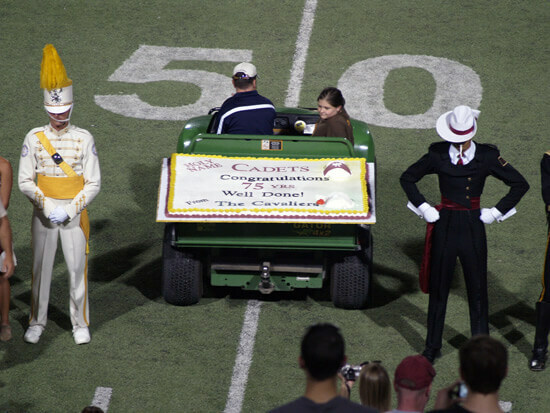 It was really cool to see the Cadets' anniversary show, but even cooler to see the huge cake the Cavaliers presented to them as a 75th anniversary gift following the competition.